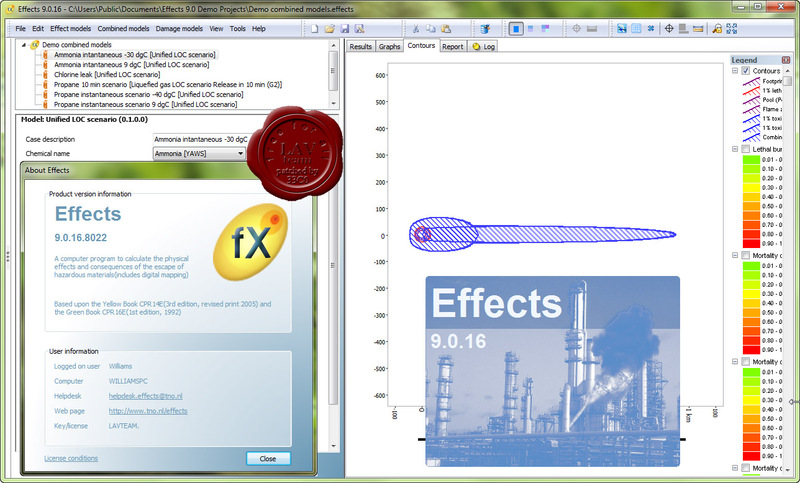 Effects is software for safety- and hazard analysis. 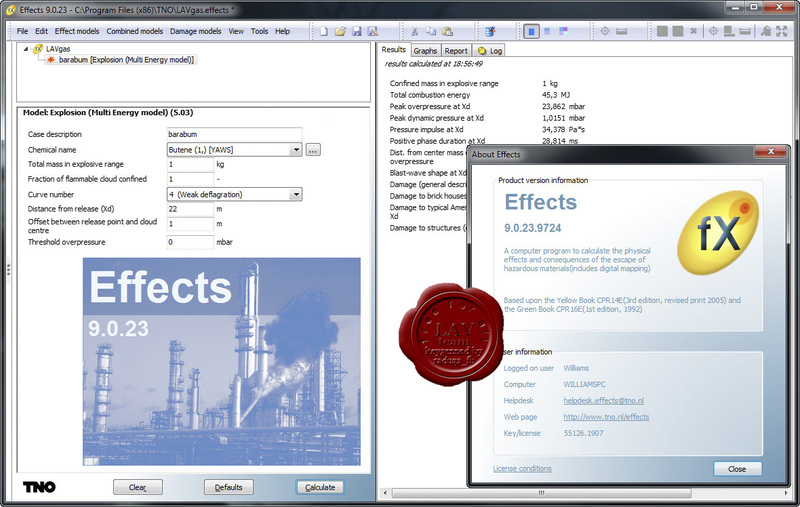 Effects is advanced software to assist you in performing safety analysis for the (petro) chemical industry throughout the whole chain, from exploration to use. It calculates the effects of the accidental release of hazardous chemicals, allowing you to take steps to reduce the risks involved. 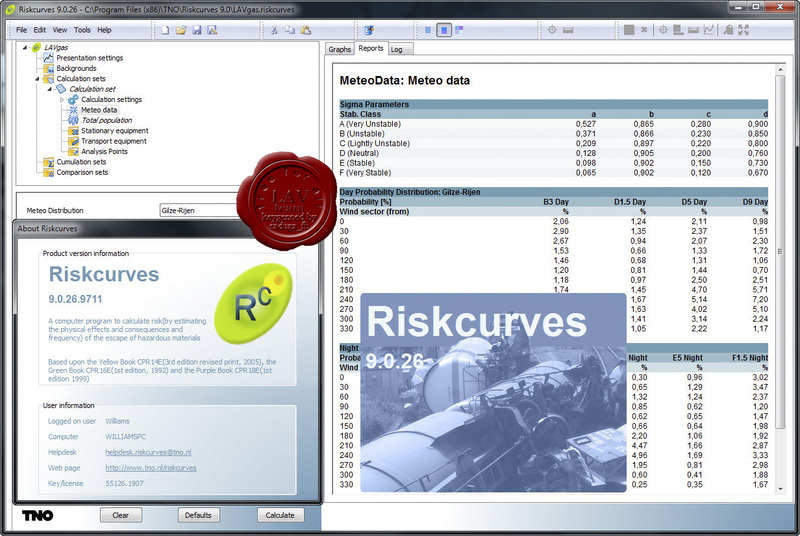 Riskcurves is software for quantitative risk assessment. Storage and transport of hazardous materials impose risks to surrounding population and structures, both in the urban environment as at (petro-) chemical facilities. 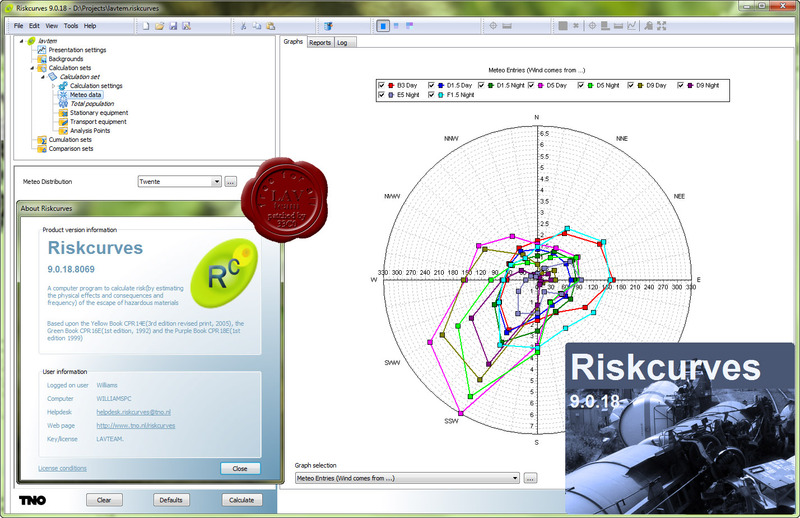 Riskcurves can quantify these risks and easily identify the highest risk activities. It can be used for mitigating these high risk activities, urban planning and complying to criteria required by legislation.